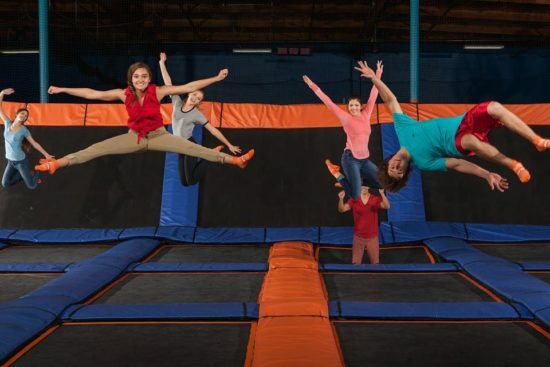 Federal government employees who are furloughed or currently without pay can jump for FREE at participating Sky Zone locations on Tuesdays through Thursdays this January. Whether putting a little “spring” in their step or giving them a “jump” on quality time together, we support families impacted by the government shutdown. Federal government employees furloughed or currently without pay and up to three (3) immediate family members are invited to participating Sky Zone parks Tuesday through Thursday this January for 60-minutes of play, on us. *Offer is valid at participating Sky Zone locations only and is subject to change. Valid government identification required. Federal government employees who are furloughed or currently without pay and up to three (3) immediate family members are each eligible for one (1) free 60-minute jump per day at participating Sky Zone locations every Tuesday through Thursday until January 31, 2019. Sky Zone socks are required but remember you can bring back SkySocks from previous visits to use again. Taxes are not included. No rain checks. There are four Sky Zone locations in Minnesota, all in the Twin Cities metro area: Blaine, Edina, Maple Grove, and Oakdale. This is awesome! Thanks for the tip! !